That's why a regular brake inspection is on every Tucson driver's maintenance schedule. An inspection by your service advisor at Advantage Auto Repair & Transmisson will check your brake system and let you know if there are any problems. If you are experiencing any of these, it's time to get your brakes checked. Talk to your friendly and knowledgeable service advisor at Advantage Auto Repair & Transmisson . Drum brakes are most common on back wheels. Both types have pads or shoes that press against the brakes and slow the vehicle. Brake pads and shoes are made out of very tough material to withstand the heat and force generated when stopping your vehicle. Eventually, they wear out with use and become too thin and need to be replaced at Advantage Auto Repair & Transmisson. A brake service at Advantage Auto Repair & Transmisson will also include a check of your brake fluid. When the brakes are applied, the pressure in the fluid activates the brake pads or shoes. Not enough fluid means not enough pressure to brake properly. Also, water builds up in the brake fluid over time, which leads to corrosion, leaks and brake damage, and with hard use, the brakes could severely fade or even fail. Tucson drivers should change the brake fluid when their vehicle manufacturer recommends to avoid these problems. Come in to Advantage Auto Repair & Transmisson for an brake inspection before damage occurs. You can call ahead for an appointment by calling 520.807.5555. The brake rotor, or disc, is attached to your wheel. The brake pads rub on the rotor to slow your car when you are driving in Tucson. Over time and miles, rotors can also wear down below safe specifications. It is important for Tucson drivers to know that simply replacing brake pads on a wheel with a bad rotor will not solve the problem. Depending on their condition, rotors may be resurfaced or replaced. Brake noise or a pulsation in the brake pedal are signs of potential brake problems that should be addressed right away. If you have any brake concerns, please have your friendly and professional Advantage Auto Repair & Transmisson tech perform a thorough inspection. Hello Tucson, let's talk about brakes. But the mechanical aspects of the brakes themselves are just one issue. There's also the power brake pump and brake fluid. And then there are the tires, which are critical to the effectiveness of the brakes. Let's step back. A new vehicle or truck rolls off a local Tucson showroom floor. It has brand new brakes with brand new brake pads. The brake lines and pump are filled with fresh fluid and are completely clean inside. And the tires are brand new, with full tread. It is ready to go. Naturally, braking power is at its peak performance. Now the miles/kilometers start to add up on the vehicle. Tucson drivers tend to focus on the brake pads. In the automotive business, the pads and shoes on drum brakes are called the friction material. That's because they provide the friction used to stop the vehicle. The pads are designed to be effective throughout their useful life – it's not until they are worn so thin as to be out of 'specs' that they lose their ability to stop. The mechanical parts of the brakes have pistons and springs that get quite a workout while breaking. Over long distances around AZ, these wear and get gummed up. They start to lose effectiveness gradually and could even fail - a scary possibility. That's why a regular brake inspection at Advantage Auto Repair & Transmisson is important for your vehicle and your family's safety. At Advantage Auto Repair & Transmisson we can test the operation of the brakes and see if any parts need cleaning or replacing. That leads us to brake fluid service at Advantage Auto Repair & Transmisson. Some of the critical additives in the fluid that lubricate and clean the vehicle fluid system are depleted over time. That and moisture building up in the system reduce the performance of the brake fluid. A brake service at Advantage Auto Repair & Transmisson cleans out deposits, water and dirt. Then the system is filled up with fresh fluid. The tires are what connect the vehicle to the road. Stopping force all comes down to traction. 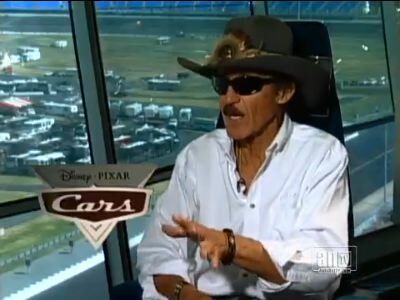 The better the tires grip the road, the more quickly you'll stop. This is especially important on wet Mount Lemmon area roads and surface streets. Studies have shown that wet stopping distance increases significantly as tires wear down. 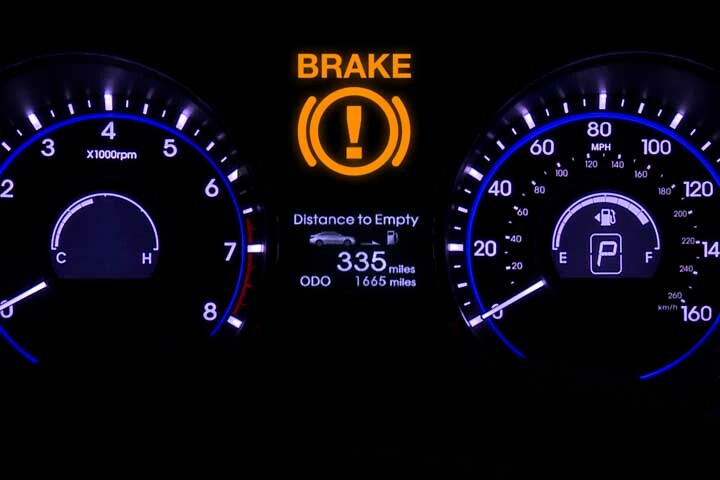 AZ vehicle owners need to understand that they can have brakes that are operating at peak efficiency and yet still be in danger because their tires are worn out. When it comes to preventive maintenance and vehicle care, most Tucson drivers know how important it is to check their brakes. But brakes are more than just brake pads and shoes. There are a lot of components in the brake system, and they all need to be in good working order. The pads and shoes are known as the friction materials in the brake system. They push together, providing friction which stops the vehicle. It's no wonder they have to be checked regularly for wear, and brake pads and shoes need to be replaced periodically. Brake pads/shoes gradually wear out, but that doesn't mean your braking gradually becomes less effective. The pads are engineered so that they maintain good braking until they wear too thin to provide adequate friction. At this point, they need to be replaced. But your braking system also has mechanical parts. These pistons and springs can also gradually wear out or get gummed up by oil, dirt and other road spatter. A brake inspection at Advantage Auto Repair & Transmisson in Tucson includes a check of these parts as well as the pads and shoes. Your friendly and knowledgeable pros at Advantage Auto Repair & Transmisson can then advise you of any parts that need cleaning or replacement. The fluid component to the brake system needs a regular check-up at Advantage Auto Repair & Transmisson as well. The brake fluid cools and protects your brake system. Protective additives are gradually depleted by the operation of the brake system, and moisture buildup inside the fluid can diminish its effectiveness. When you have your brakes serviced at Advantage Auto Repair & Transmisson in Tucson, the fluid should be checked and, if needed, replaced, which will clean out water, debris and dirt. It is important to remember that your brake system also includes your tires. No matter how well your brake system is performing, if your vehicle tires are worn, you won't get good stopping power. Traction is the power of your tires gripping to the roadway. Traction is always better on tires with a good tread. Good traction translates to good braking. This is particularly important on wet Tucson roads. A good tire will give you good braking on either wet or dry AZ roads. But stopping distance increases dramatically when worn tires meet wet roads. Tread on a tire acts to channel away water as the vehicle passes over the wet road, improving contact between the tire's surface and the road; that maintains traction. But the thinner the tread, the less effective the water channels become, and water can get between the tire and the roadway, reducing friction. A loss of friction means a longer stopping distance and possibly the loss of control. Braking depends on two things: the weight of your vehicle and the speed of the vehicle. The heavier the vehicle or the faster the vehicle, the more braking power it requires. Thus, brake systems vary from vehicle to vehicle. For example, a pickup that is designed for heavy loads has a more powerful braking system than a compact car. Sports cars also have higher-grade braking systems than minivans. Regardless of what kind of car you drive in Tucson, it is always good auto advice to keep your brake system in good repair, and that means ALL of your brake system. Just one more way to keep your travels accident- and worry-free. Let's talk about something critical for all Tucson drivers: your brakes. Your vehicle is heavy, and it takes a lot of muscle to bring it and your passengers to a safe stop – so everything needs to be in good working order. The wheel hub keeps your wheel attached to your vehicle. The brake disc – or rotor – is attached to the hub and rotates with the wheel as you drive around Tucson. Your brake pads clamp onto the rotor to slow the wheel. The brake caliper straddles the rotor and squeezes the rotor to slow it down. The calipers contain brake pads which press on the rotor when you put your foot on the brake. The brake piston causes the calipers to squeeze and release as you use your vehicle brakes. Your brake pads start to wear the first time you step on the brakes. Eventually the pads wear out and need to be replaced. If you don't replace the pads when they're worn out, the metal parts of the brake will grind against the rotor and carve grooves into the surface. 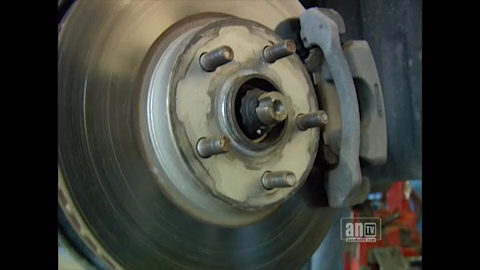 We've all heard grinding brakes and it's not a pretty sound. If a rotor isn't scored significantly, your friendly and knowledgeable Advantage Auto Repair & Transmisson technician can put it on a lathe and smooth it out. If the grooves are too deep or if the rotor is warped or cracked, you need to replace it. Sometimes brake pistons can stick and must be replaced. Typically it's cheaper to replace the entire caliper at Advantage Auto Repair & Transmisson in Tucson than to rebuild the piston. So there you have it – an important lesson on how your disc brakes work. If you replace brake pads on time, it will not only keep your vehicle stopping safely but could save you cash on unnecessary repairs down the road.